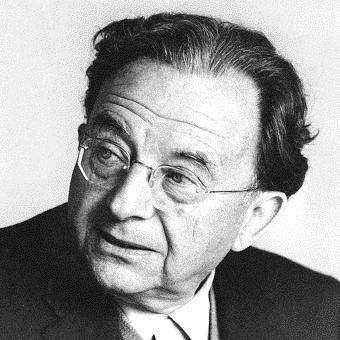 The reason I’m sharing today’s quote (for which we can thank the late German social Psychologist Erich Fromm) is because I have long suspected that it’s a good idea to be at least a little insecure about something, and I wanted to solicit some opinions on the subject. For those that read this Monday space for my 1. All 0.00 of you.weekly advice 1, I apologize but this morning there will be none forthcoming. …So my theory (or at least I’m attributing it to me) is that insecurity is one of the primary things that sets really smart and successful people apart from people that are simply smart (but less successful). It is insecurity that causes us to push a little bit harder than we are comfortable pushing; or perhaps it would be more accurate to say that it is a lingering belief that we are not quite good enough as we are that causes us to strive to be better. If this is true, then as Fromm denotes the challenge is not to do away with feelings of insecurity in our lives, but rather to not let those feelings consume us. I am insecure about little things all the time. To name a few; I worry about if I’m learning enough new things to one day emerge as an expert in my field (and remain one once I get there). I am also worried about if I’m doing the right things to be promoted into the job I want to eventually hold by the age that I want to hold it. And like many, I also worry about the expectations of others. Objectively, I recognize that these are silly things to worry about: Becoming a subject matter expert in a field is undefined in most cases, and difficult to 2. …Or along, I suppose.quantify in instances where we know what it looks like. And climbing up 2 the corporate latter to the job of your dreams is governed by luck and circumstances beyond our control to a greater degree than many realize. And of course, worrying about other’s opinions and expectations is a delightful waste of time; most people are not giving all that much thought to us on a daily 3. They are thinking about what they are going to have for lunch/if they are good parents/if person XYZ is attracted to them/what other people are thinking about them etc..basis 3, and if they were it would be besides the point – it’s impossible to be everything to everybody all the time. …And yet I make a conscious choice to allow such insecurities to remain a part of my day-to-day thought stream. I could do away with them… I really, really 4. Probably. >_>could 4, but I like (crave?) feelings of doubt; they instill in me a sense of fear and urgency that I don’t think would be there otherwise. Doubt keeps me sharp and learning and growing when I might otherwise be content and stagnating towards obsolescence. …Or that’s my theory, anyway. With that said, as we get started this week I want to ask you – do I have this right? How much insecurity is healthy? Any at all? Or should we be letting it govern our actions (and if so to what degree)? Love this post and the quote Rory. I think there’s definitely a balance to be struck… Too much security and too much insecurity both get you to the same destination… Nowhere!